As we step into the New Year, it means that it is high time we adopt some new habits with regards to our keyword research. Instead of only targeting the marketing blasts at the long-tail or in-demand keywords, would you want to think about tailoring your strategies to shape the demand distribution curve of your niche? If you’ve been wondering about how to use the demand distribution curve to improve your current applied strategies, this post is going to help you out. Have a look at the steps you might take. Determine the keyword demand distribution in your niche: Basically, you have to make a list of the keywords which play a relevant role in bringing high-quality traffic to your site and that may possibly turn into customers within two to three visits. Take a close look at the list. Are there just few keywords which dominate the demand curve? Are there just 5 main keywords that are getting hundreds and thousands of searches in a month and the rest getting less than 50? Or is your curve moving down? You might have a few that are getting a lot of searches, few in the long-tail and tons of keywords which are getting 5-50 searches in a month. Analyze these before taking any step. Keep collecting data: Don’t only collect your data as you also need to collect the social followings within your industry. Reach out to the media players in your field where people in your niche pay attention. Are you seeing tons of accounts that can gather thousands of Facebook and Twitter fans or is the story just the opposite where there are just one or two big players who are capturing the market? Well that would mean a steep fall from the demand curve. Create a demand curve graph: Create a graph of your distribution. It doesn’t need to be a perfect one as a rough sketch will also work. Do it either in Google Docs or Excel. Chalk out the one where there’s lot of demand for few sources and where there’s very little demand at the end. There are similar sources which will offer you a lot of information and you have to model them out. 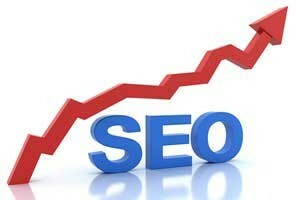 Therefore, if you want your demand distribution curve to improve your search engine strategy, you may follow the above mentioned steps.